Vintage Sheet Music-"Lonely Heart"-1936 Price:3.99+$4.00 S&H This is the sheet music to a song titled "Lonely Heart". It was copyrighted in 1936 by the Pillsbury Flour Mills Company. 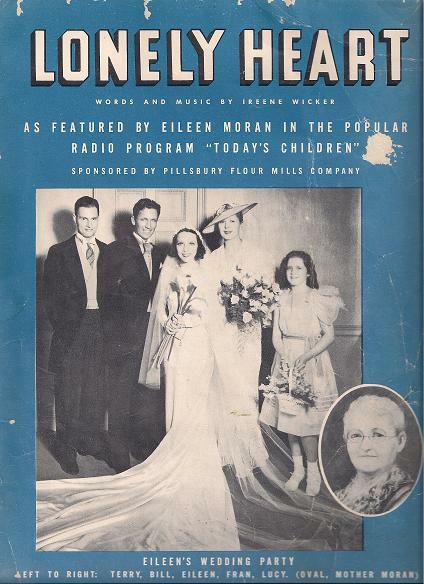 The song was featured in a popular radio program titled "Today's Children" where it was sung by Eileen Moran. Music is in very good condition considering it's age. A little tattering but overall good.